Old school arcade games, those were good days. Games that were simple yet can become very challenging the second you decide to go for a high score. That’s the vibe we went for with Enemy Unknown. If you are a casual gamer you can have fun just shooting the unknown enemies to oblivion, getting killstreaks, and ranking up. If however, you’ve got a competitive side, try and go for a high score by killing as many enemies as possible without getting hit. The more difficult the enemy the higher the score. Cannons, bombs, plasma shots, shields, your ship has got it all. Each weapon can be upgraded to become more powerful, but that’s not all. You have also got killstreaks, Support Ships that fly by your side causing damage to enemies, the Laser – which is pretty much a deathray to all that stands in its way – and finally, the Nuke(!) If there is an enemy on screen it will be DESTROYED! You spawn onto the bottom of the screen and can move your ship horizontally by either using the Touch Joystick, Buttons, or the accelerometer in your phone. The option is up to you and can be selected from the settings menu. If an enemy is glowing red, be aware that they will drop a power-up when killed, so do not destroy them when they are close to the top of your screen! Power-ups float upwards, so you will need to use your grappling hook in order to grab them. There are basic power-ups, Shields, Bombs, and Plasma Shots that can be dropped by the enemy. Enemies can also drop cannon upgrades (which increase the number of cannons your ship has) and fire rate increases. If you reach the max level of either number of cannons (max four) or fire rate, your shots will instantly turn to a laser for 3 seconds so use it wisely. Timing the use of your shield, and not forgetting your plasma shots, can also be very useful. These are the basics of the game, get out there and give them hell. 25 levels each with endless mode upon completion. Rank-up system like call of duty (Each level increase unlocks in-game currency). Achievements (Each achievement provides a bonus). Give it a shot! We tried our best to provide a quality game that is fun yet challenging for those who are looking to challenge themselves. R Services is my third venture (after exiting the corporate world) and the one I am most passionate about, and it all started with a simple tutorial I found online. All this being said, you can’t have success without support and help, no matter how much of a lone wolf you are, and with responsibilities of life you usually end up having a timeframe in place. So, R Services became a studio of two. Being a gaming studio of two, we came to a simple conclusion, we will create games we love, to the highest standard we possibly can and with time try to build a reputation of high-quality games. 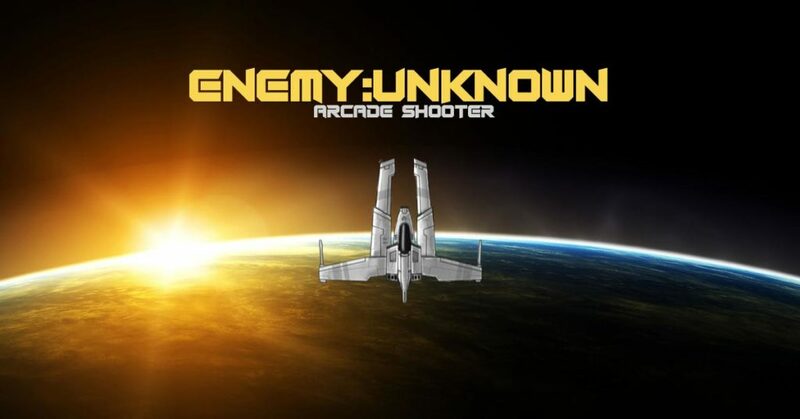 Enemy Unknown is our first, so from the gigantic team at R Services, we hope you enjoy it. This article was Published by Edamame Reviews, Written by R Services.